Over the years, Facebook’s advertising platform has continued to evolve, adding more and more options to utilize in your targeting, while also becoming infinitely more complex. That can be a problem for advertisers looking to maximize their Facebook ads performance - more targeting options is better, but if you don't know how to use them, it can seem like you're drowning in possibilities, and likely missing out on more in-depth elements. Our agency has frequent conversations with our partners at Facebook, and we're often briefed on tactics that most people don't know about. To help you with your Facebook ads, here are five best practices for Facebook Ads – straight from Facebook - to optimize your campaigns. As noted, Facebook offers a huge range of advertising objectives which can help brands reach their business goals. We no longer live in a world where Facebook ads success is only achieved by running 'Page Likes', 'Website Clicks', or 'Engagement' campaigns - in addition to these, Facebook now offers advertising objectives which include 'Awareness', 'Consideration', and 'Conversions'. These categories each offer different ad units which are geared towards achieving their respective results. Objectives which generate interest in your product or service. Objectives that get people to start thinking about your business, and look for more information about it. Objectives which encourage people interested in your business to purchase or use your product or service. Don’t be overwhelmed. Yes, there are a lot of options, but choosing the right objective which is aligned to your broader strategy, and drives true value for your business, will make all the difference. We often get asked which Facebook ad placements are the best. To clarify, a Facebook ad placement is anywhere that an ad is eligible to be served - this includes in the Facebook News Feed, Instagram feed, Stories, Audience Network, and even in Messenger. According to Facebook, the best way to run campaigns is to activate all placements. This enables the Facebook Ad platform to optimize against which placements are achieving your desired objective at the most cost-effective rate. Facebook calls this 'Placement Optimization'. The logic here is that the more placements you use, the more data the Facebook Ad platform has to learn from. The more it can learn, the better your campaigns can perform. But even though this is one of Facebook’s own recommended best practices for Facebook Ads, it is important to consider where you, as the advertiser, want your ads to be shown. For example, ad placements on Audience Network won’t generate engagements. If you care about that metric, you might want to omit Audience Network from your efforts. We recommend going to market utilizing Placement Optimization and nurturing what performs the best. 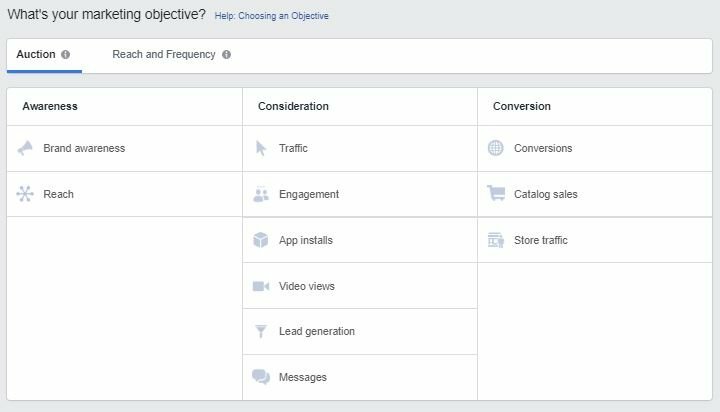 Facebook's 'Campaign Budget Optimization' process is a way of optimizing the way a campaign uses budget across ad sets. Typically, an advertiser would set budgets at the ad set level, however with Campaign Budget Optimization, Facebook will continuously and automatically find the best opportunities to achieve your designated objective across your ad sets, and prioritize budget to the ad sets that are performing best. This gives you less control as an advertiser but gives the system more control to use your budget efficiently. The one thing to be cautious of here is that if there are campaigns that you need to get a certain level of attention, you will not want to use Campaign Budget Optimization. You'll want to set the budget at the ad set level to ensure visibility. It's no secret that social media has rapidly become a predominantly mobile-first experience. Keep this in mind when it comes to creating your Facebook ad campaigns. Given that you can serve ads across Facebook and Instagram, you'll want to ensure that your ad creative is attractive, engaging and looks great on the small screen. Consider bright visuals for banners, and be sure that your video ads are under 15 seconds. Focusing on mobile first creative will enable you to activate more users into your marketing funnels, at a more cost-effective rate. Make sure your ads look great on mobile. In conversations with our partners at Facebook, this best practice surprised me personally. In the past, the goal of Facebook ad targeting was to be as specific as possible. However, due to increased competition and the evolution of the Facebook Ad platform, being super specific in targeting can sometimes lead to more costly results. When you go with super-specific targeting, you're telling the system that you want to serve ads to a certain amount of people no matter what. The Facebook ad system then goes after those people, and you, as the advertiser, are battling budgets for a presumably small amount of people who are also being targeted by other advertisers. This can drive costs up, and Facebook doesn’t have much to learn from. When you go a little broader with your targeting, however, Facebook has more touchpoints to learn from, and will automatically optimize to serve your ad to the people in your target audience who are most likely to take your desired objective action. While doing this, the system also looks for the best use of budget in an attempt to drive more results for lower cost. We recommend testing this for yourself - specific targeting always seems great, but consider going a little broader when trying to stretch your budget. Not everyone has access to a contact at Facebook, so hopefully these tips help you better target your campaigns, or give you some additional elements to consider in your experiments. Really, that's the key - there's no definitive, one-size-fits-all, best approach to Facebook ads, you need to target your audience using the tools you have available, and create ads that boost appeal with your target market. That will require testing - these tips should help you maximize your process.